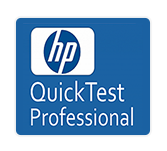 HP QuickTest Professional (QTP) is an automated functional testing tool that designed to apply automated regression testing to find out the gaps, errors/defects in contrary to the actual/desired results of the application under test. This tutorial provides quick guide to understand about play back of tests, object repository, actions, checkpoints, sync points, debugging, test results etc. and other related terminologies. This tutorial is mainly used for software Testing Professionals to more understand about QTP and necessary requirements to work on QTP to go to next level. One must be familiar with software development life cycle (SDLC) and VBScript will be required. When Not To Use Recovery Scenarios?